I booked through pelican suites and the customer service was horrible. Sea coast hotel was not the problem. Since booked through a another company that particular company which is called pelican Suite’s was in charge of our hotel room only. House keeping was not provided and they made us take out our own trash. For the amount we paid room service should have definitely been included. If you ever book through pelican suites ask them questions because they do not include much of anything in the documents we sign to book. HORRBLE!! Our room was upgraded because it wasn’t what we booked. The rooms were large and well decorated. The beach was not overcrowded with easy access. It was quiet with very little noise on the floor. The small market in the building was a great convenience. The location was great not far from South Beach. Parking was also great since you were able to park your car without having a valet. The view was spectacular. We had an ocean view. I loved the set up and style of the room, the balcony was beautiful and the living room was spacious which is good. Quiet area and the staff was nice to me. 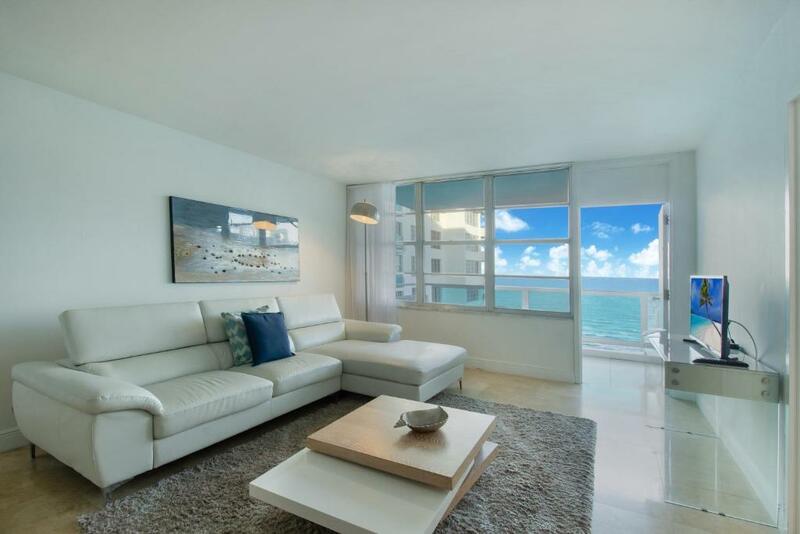 Ocean & Bayfront Apartment in Miami Beach This rating is a reflection of how the property compares to the industry standard when it comes to price, facilities and services available. It's based on a self-evaluation by the property. Use this rating to help choose your stay! One of our best sellers in Miami Beach! 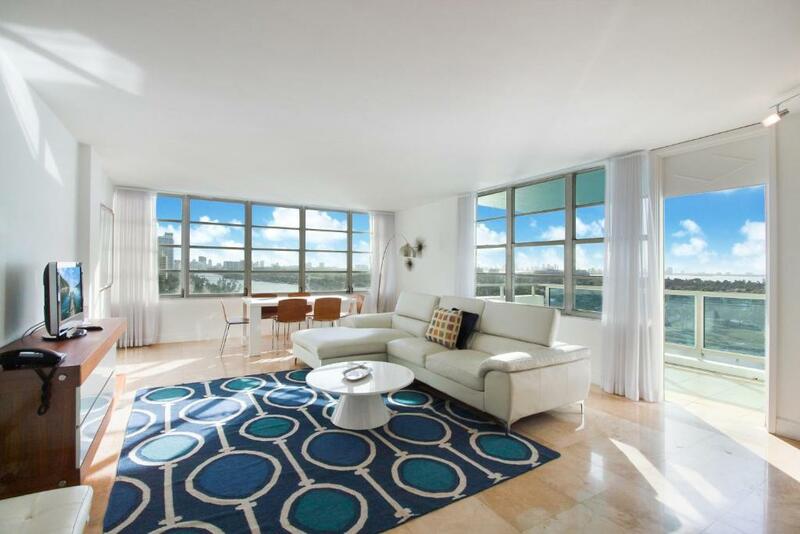 Located within 3.1 miles of Holocaust Memorial in Miami Beach, Ocean & Bayfront Apartment in Miami Beach provides accommodations with seating area and flat-screen TV. Free WiFi is offered. All units come with a terrace, a kitchen with an oven and a toaster, and a private bathroom with hot tub. Some units include a dining area and/or a balcony. The apartment offers 4-star accommodations with a fitness center. Miami Beach Convention Center is 3.1 miles from Ocean & Bayfront Apartment in Miami, while New World Center is 3.3 miles from the property. 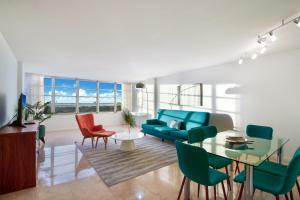 The nearest airport is Miami International Airport, 12 miles from the property. When would you like to stay at Ocean & Bayfront Apartment in Miami Beach? This apartment has a tumble dryer, balcony and flat-screen TV. 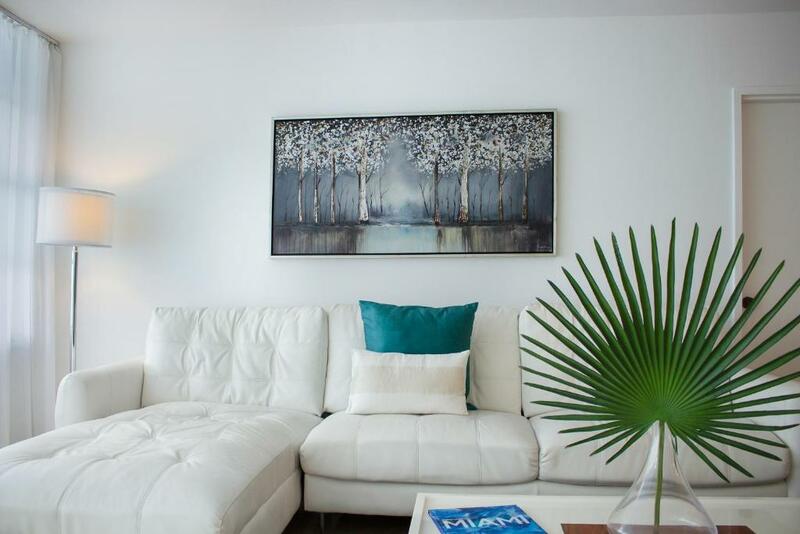 This apartment features a executive lounge access, air conditioning and spa bath. This apartment has a spa bath, seating area and balcony. 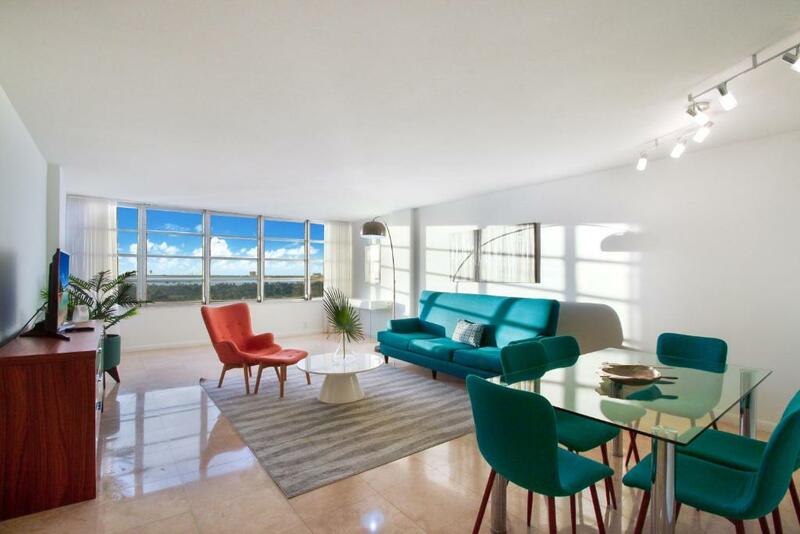 This apartment features a dining area, balcony and toaster. 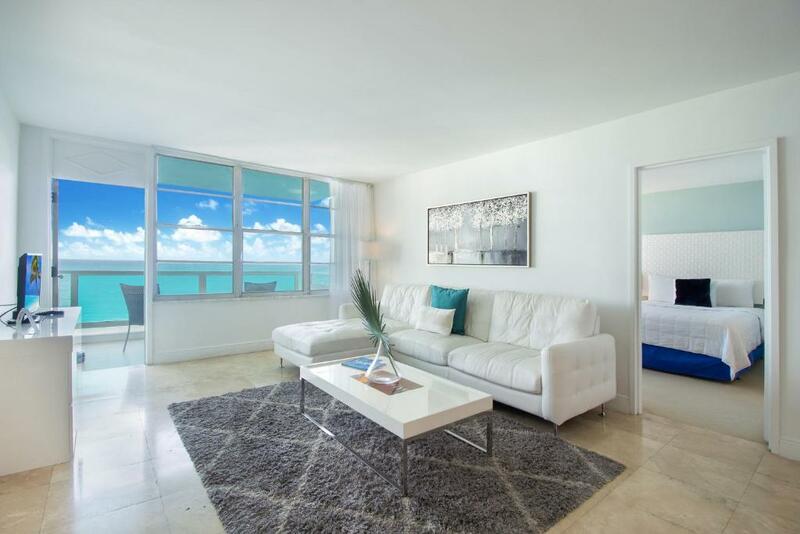 House Rules Ocean & Bayfront Apartment in Miami Beach takes special requests – add in the next step! A USD250 damage deposit is required 7 days before arrival. This deposit will be fully refunded 14 days after check-out, as long as there isn't any damage to the property. Ocean &amp; Bayfront Apartment in Miami Beach accepts these cards and reserves the right to temporarily hold an amount prior to arrival. 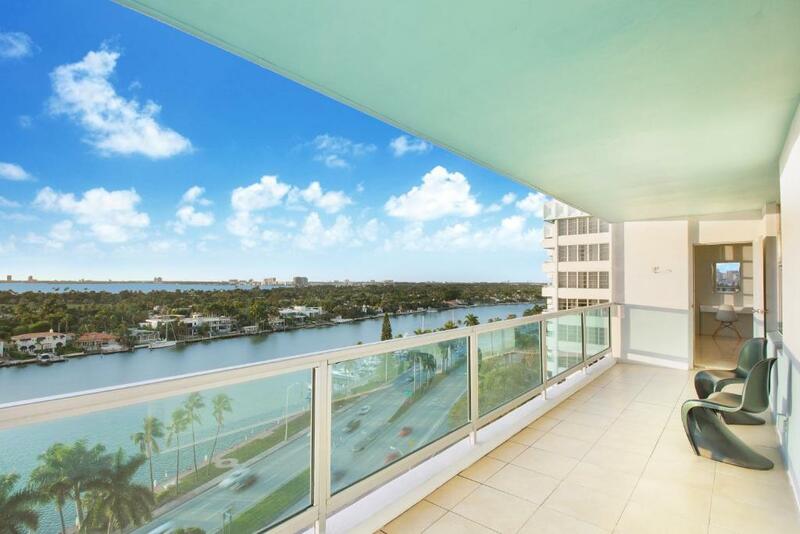 Ocean & Bayfront Apartment in Miami Beach accepts these cards and reserves the right to temporarily hold an amount prior to arrival. 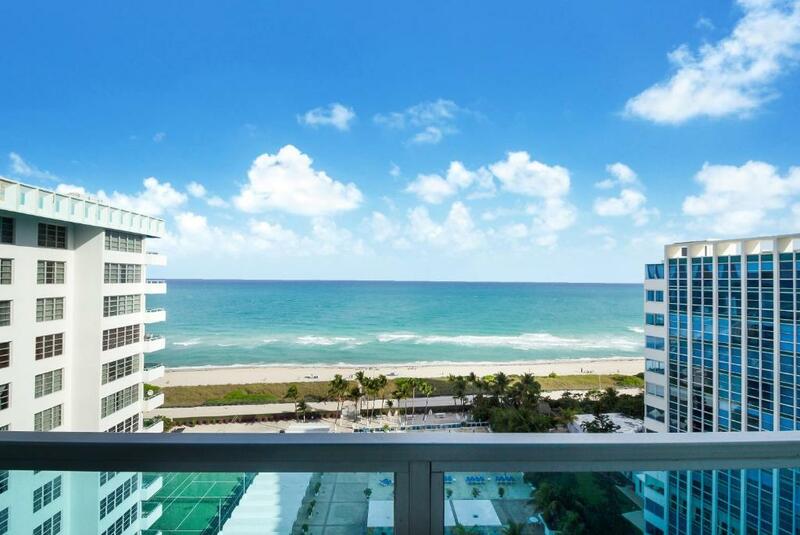 Please inform Ocean & Bayfront Apartment in Miami Beach of your expected arrival time in advance. You can use the Special Requests box when booking, or contact the property directly using the contact details in your confirmation. A damage deposit of USD 250 is required. The host charges this 7 days before arrival. This will be collected by credit card. You should be reimbursed within 14 days of check-out. Your deposit will be refunded in full by bank transfer, subject to an inspection of the property. I had many problems to check in, the apartment was with a terrible smoke smell, damage door, dirty walls and shower, I had problems to communicate with the property manager and problems to get deposit back. Those people are not trustworthy. The way you had to go through back employee elevator because you have luggage. The worst stay ever. Nobody from Pelican is in the site. They don’t accommodate you with anything. Couldn’t get towels, toilet paper nothing. They don’t answer call you back nothing. Roaches was in the room. Tv didn’t work, phone didn’t work. Wifi was terrible, only to discover on the 2nd day that there should have been a wifi booster plugged in behind a night stand and it was not. Even after, the wifi was still spotty. Breakfast in the onsite restaurant was awful. The room had a mildew smell. Lots of seaweed on the beach. What I did not like is I was not able to communicate with Nikki our host the whole seven days I was there. I needed new towels, as well as toilet paper, and garbage bags. I had called the front desk but they told me it is separate since I did not book with them I would have to get in contact with my host. Since my host Nikki was not answering I called the reservation line and they also said the same. I left Nikki two voice mails and called her five times without not one call being returned. Also there is no washer nor dryer in the room as it is stated you have to buy a $15 dollar card from the front desk, but again they will not provide it without speaking to Nikki. My friends and I were there for a whole week without being provided fresh towels (which you have to pay for). They charged my card the full amount the day I booked the room then proceeded to tell me that it would take 15 days to get a refund (which would then put me close to the day of my stay) so I couldn’t have cancelled to get another room at a different hotel to begin with. When we arrived, we walked into the unit and while the living room was pretty cool, the kitchen is outdated, the bathrooms need a complete renovation (damages to the counters, dingy shower curtains) and the bedroom my boyfriend and I stayed in smelled like marijuana our entire stay, I’m going to say it was because the smell was probably stuck in the carpet (which has major stains and clearly needs to be cleaned or ripped up). When I called to express my concerns I had to go through 3 different people (none of which were any help) and still got nothing. Regarding my security deposit, we agreed to pay in cash, however, no one ever showed up to take the cash or the manager conviently would show up after we left the unit. Going to check my card to see if they charged it for the deposit because I wouldn’t put it past them after what I’ve experienced. At the end of your stay be prepared to have to take out your own trash or be charged. For my first time visiting Miami, while I loved the city, I would’ve enjoyed it more if I picked somewhere different to stay.